little ones to get their energy out. Here is a great solution! A painter's tape playground. 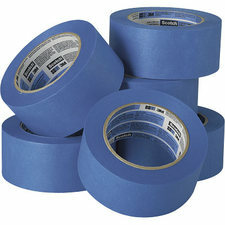 Run to the store and grab some blue painters tape, and let your imagination run wild! 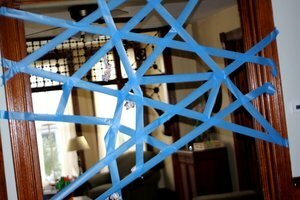 Here are some ideas you can include in your painters tape indoor playground. The ideas are limitless and a whole lot of fun! Have the kids design their own playground to engage their creativity and keep them occupied and playing even longer. Painter's tape is great because it will not damage your walls, floors, furniture or carpet, it is made for sticking to these things without causing damage.